Chemistry is a Modular Bench system ordered as a ‘starter’ or ‘add on’ desk. It’s available in a back to back or in-line format with options for fixed or sliding tops, standard or ‘O’ legs. The system can be fully cable managed and the inset mid-leg is manufactured to accommodate a vertical wire management cassette as an option. The twin beam system on fixed tops and ‘outriggers’ on sliding tops add to the rigidity of this system. 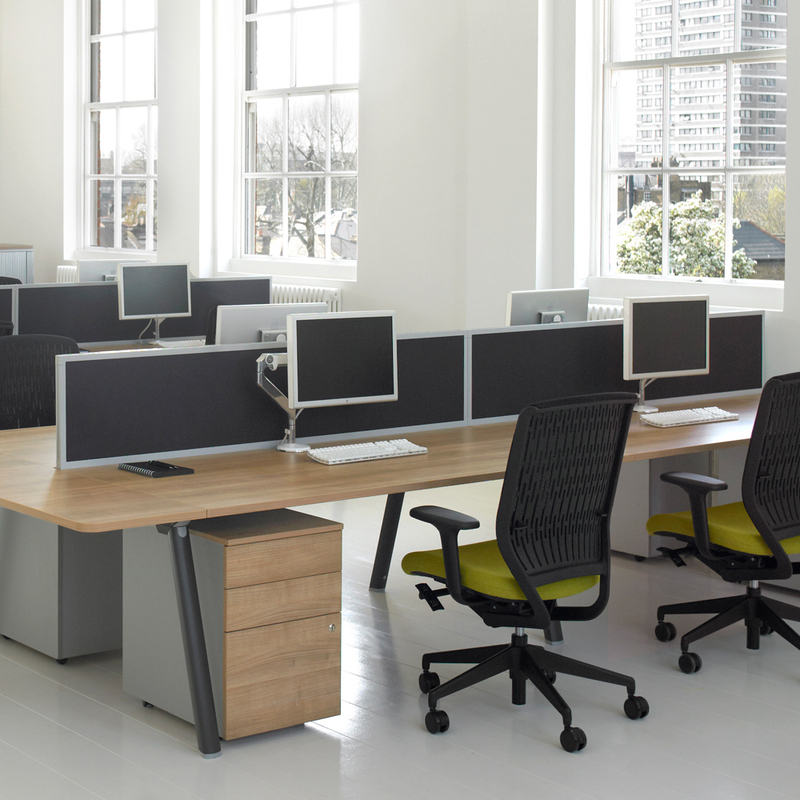 Height adjustable and height settable desks are included within the range as are screen and storage.